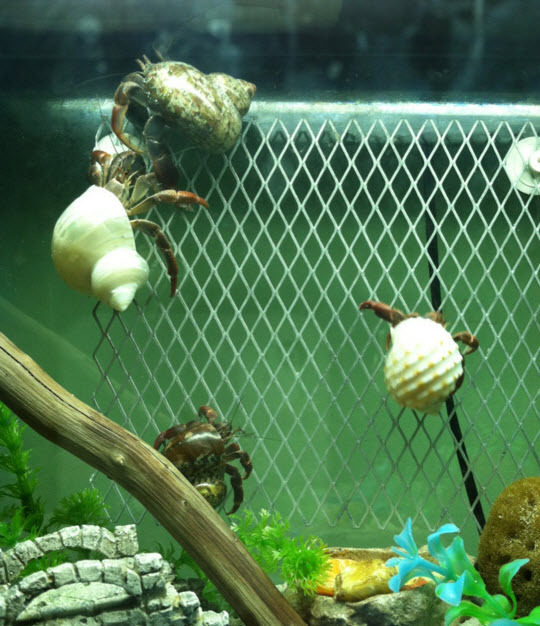 Use a metal grate to make a climbing area on a wall of your hermit crab’s habitat! Get a sheet of metal mesh that is a good size for your crabitat. Attach suction cups that have hooks across the top of one wall in your crabitat, then hang the grate on the hooks. Be sure the wall does not reach high enough in your tank that your crab could climb out.